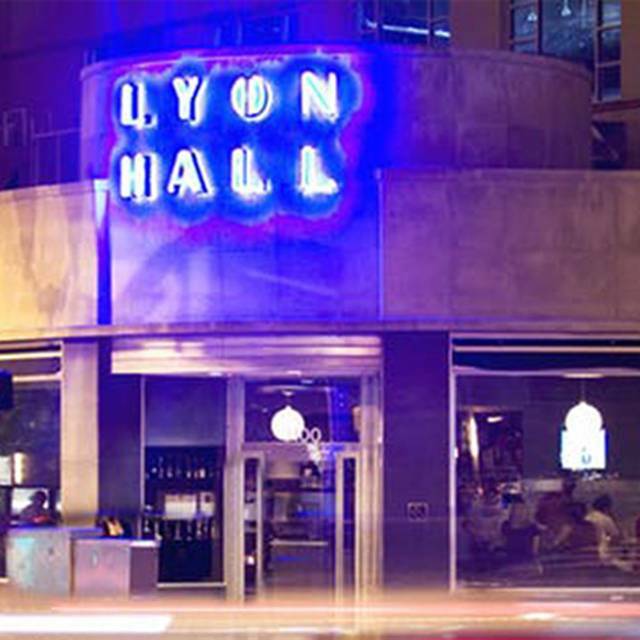 You must make reservations at least 5 minutes in advance of the time at Lyon Hall. Lyon Hall can host a private event of any size! We have multiple areas throughout the restaurant- Our mezzanine is perfect for dinner parties and business events. Our lounge is available for casual private events, as is our bar. Whatever the event, we can customize our space for you and your guests! 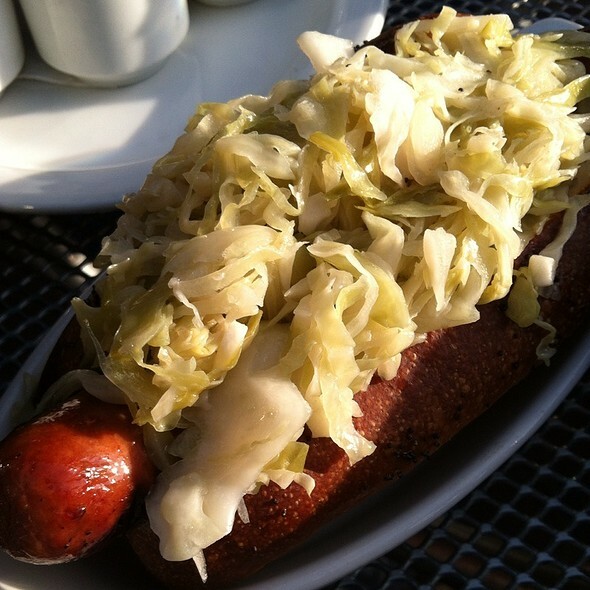 Lyon Hall is a modern bistro serving approachable Alsatian-inspired fare, including an extensive selection of house-made charcuterie and sausages. The menu changes with the season to highlight fresh produce from local farms, as do the pastries, desserts and fresh bread. The affordable wine list focuses on French selections, while the impressive beer list offers an extensive selection of European drafts and bottles. Located in an historic art deco building in the heart of downtown Clarendon, Lyon Hall is a vibrant neighborhood spot with a friendly, knowledgeable staff. Perfect for an elegant dinner in the stylish dining room, frankfurters and beer flights with friends at the lively bar, or enjoying a warm evening on the patio with a bottle of wine and selections from the dynamic cheese menu. The private room located in our mezzanine level offers a great spot for small to medium size groups enjoying a private meal or cocktail reception. The service was terrible and waiter was extremely rude even with some basic questions. For the most part, I’ve always enjoyed Lyon Hall. If nothing else, their fries are incredible. But the Lyon Hall burger was not good. Burger was beyond well done, despite being ordered medium rare, and the dominant flavor was burned meat. Yet somehow it was also greasy. I will be back, but won’t ever order the burger. C’mon guys! I would not recommend them for breakfast. Donuts tasted stale, burger was undercooked and overloaded with condiments not listed on menu (like pickles which I do not like!). Only ate half the food. May come back for a happy hour to see if their drink and appetizer menu is better. Another lovely bistro dinner at Lyon Hall! We have New England family so of course we ordered lobster rolls. They were delish, along with the salad and pomme frites. The waiter we had that evening was excellent. Checked in the right number of times, attentive, and friendly. We will be back many times this spring to enjoy their patio. Service was very good but the food has deteriorated since the last time we were there. Server was often absent and hard to flag down. Received drink with large hair and had to finally take into the bar myself. Bartender was super friendly and apologetic, happily made me a new drink! 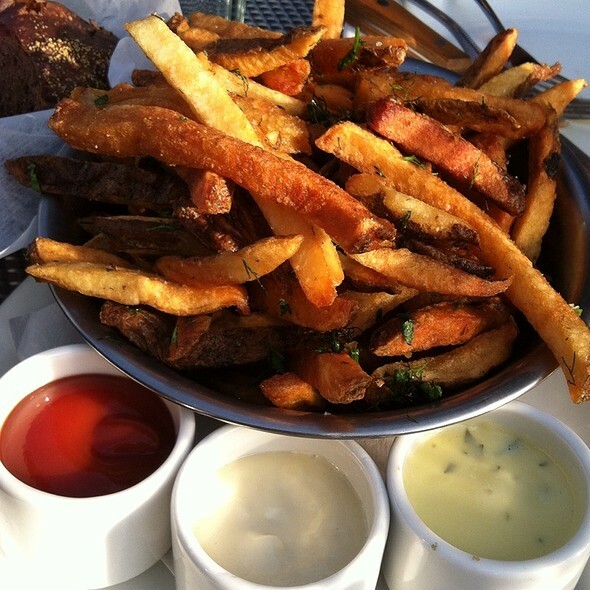 Everything I’ve had on their brunch menu is exceptional and they have the best French fries in town. Love the patio seating & the ability to bring our dog with us. Another good night with friends at Lyon Hall. Our food was very good. I recommend the cassoulet. Look forward to my next visit. Great hangar steak, great fries, and great cocktails! First time. Loved it. Good food & great service. Will return soon. Always a nice experience. Great food and service. Food and service were outstanding, as they have been every previous visit! Prices were a little high for the food. Beautiful inside although Tables are close together which we didn’t love. Brunch with grandchildren. We are returning customers. Always look forward to our brunch at Lyon Hall. The music outdoors was way too loud. Sitting next to the building and having a conversation was difficult. I would turn down the sound a bit--people outdoors do not want to be bombarded by sound constantly. No complaints about the food --it was tasty and sufficient in size.--what you'd expect for this type of restaurant. The food is good and the service very good. I recommend this place! The food was delicious, but the service left a little to be desired - at least for the price Lyon Hall is asking. Despite ample outdoor seating, we were seated next to the kitchen entrance. Despite our location adjacent to the kitchen, it took about ten minutes before our order was taken. I plan on returning, but may request indoor seating this next time. My boyfriend and I love coming here for date night or just for a fun meal. The place has a fun atmosphere and the service is always wonderful. The French onion soup and steak frites are our favorites! The steak is always so flavorful and tender. A neighborhood favorite! Went to Lyon Hall for brunch. Had been there before with the prior trip being the better experience. The food this time around was tasty as I’d remembered. The service, however, really needs work. Great environment, fantastic food. This is why Lyon Hall remains as one of the busiest restaurants in Arlington. Noise level is a bit high if you are looking for intimate conversation, but for good friends and family going out for a nice meal it's a great choice. The food is great and the servers are always attentive and polite. The hangar steak was great. The salad, fries and dessert were also good but not outstanding or out of the ordinary. It was pretty loud. Our server was very good. Tasty brunch food but very slow service, not just at our table but also at tables next to us. Had to repeatedly wave down staff to take order and even getting a water refill required asking multiple people. Lyon Hall had great service and quality food. They accommodated my large group with ease. Also great mimosas! Will definitely be back. We celebrated a birthday with dinner at Lyon Hall. We started with drinks. The drinks were enjoyed. We had a pretzel and the Thai Basil Mussels. Both were very good. The Thai Basil Mussels were exceptional. Dinners were the sweet potato gnocchi, a shrimp salad, the Bohemian Sausage Dinner and the rock fish special. Each was excellent. This is a great place to take a guest! At least one waiter will speak French with you if you wish. Authentic French cuisine with the expected yuminess. Thank you, Lyon Hall! We'll be back!! We went to brunch last Sunday and everyone thought the food and service was terrific. We all said we would come back. Food is amazing. The server was extremely responsive and attentive. The dining upstairs does not have a lot of ambiance so sit downstairs if you can. Really yummy food. Good size portions and the service was excellent. Specifically the waiter was on top of keeping our drinks filled, the owner came to chat with us, the food came out and they gave it the right person without saying who got the whatever. We were a party of 9. I appreciate the attention to detail. There are many good places In Arlington to eat. I would highly recommend Lyon Hall. It is one of the nicer casual dining restaurants in the Arlington area. The service was a little slow and the tables were a little crowded. Overall, the food was very good. Seems like a good place for happy hour as well. French / European fare. Very nice wine selection [lots of french]. Appetizers were fresh and tasty. Main course was excellent. We don't eat much deserts but the blackberry sorbet was a nice finish for all of us. We will return. Park is a little tough but there is a garage across the street. Food was fabulous! Prices and portions were appropriate. Something for everyone! Husband and I were there for a kid-free night. Everything was excellent. We were placed in a high traffic area which wasn’t ideal but the restaurant is pretty small so there’s not really anyplace out of the way. Food was very good- particularly the filet, which we both had. Tender and flavorful. A pricey meal when we threw in 2 cocktails and 2 glasses of wine. I would take out-of-towners here.